Last weekend there was a medieval market in the neighbourhood and, being next to my place, there was no way ‘ll miss it. 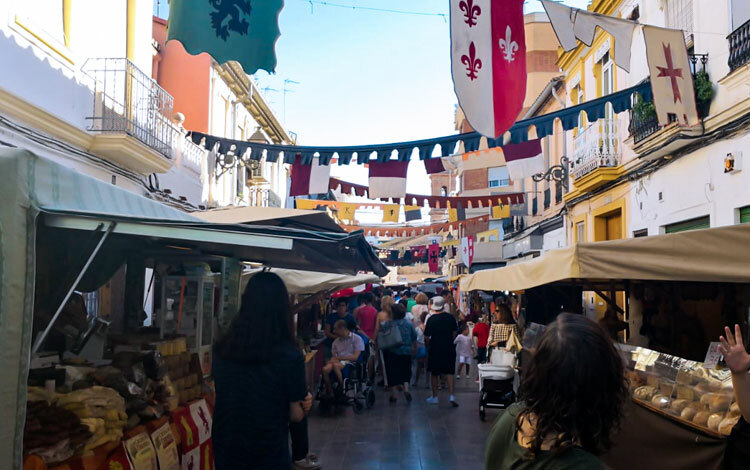 Apparently, the medieval market of Benimaclet is one of the largest in the city of Valencia and also one of the best known. 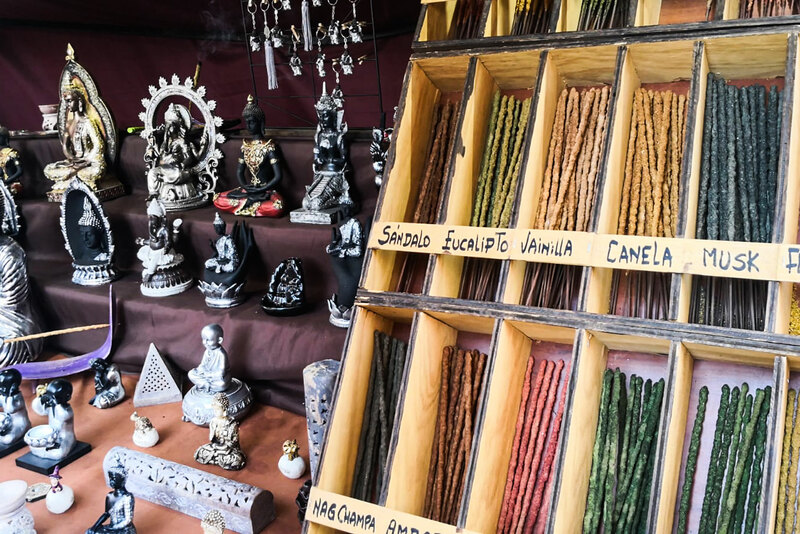 Several of the streets leading to the square are filled with the most interesting and colourful stalls where you can find everything from food to horn trumpets, in short, things that cannot always be found so easily. All these accompanied by music, dancing, juggling, attractions for the kids and the odd show. This year, having a salary at last, I have decided to indulge in some caprice. Like every time I go, I bought a hairpin for “pasion de palos”; her designs are unique and precious and in every medieval market she surprises me with new things of very good quality. 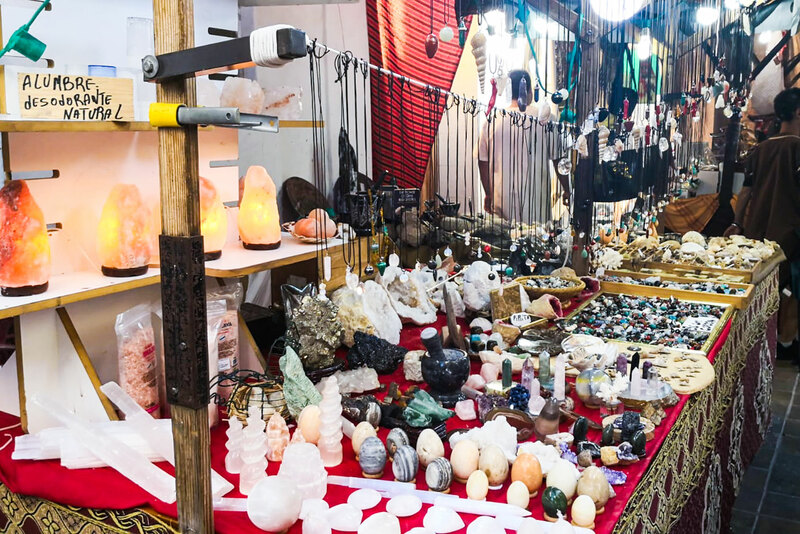 Furthermore, there was a giant stand of stones and minerals that caught my attention for a long time; there I bought two pieces of selenite, one raw and another treated in the form of a wand, and a nice abalone shell. At the end of the market, in one of the stands that was further apart, I saw a small counter with silver rings and, among them, a delicate model with a moonstone set in it; I had been looking for something similar for so long that I couldn’t resist! 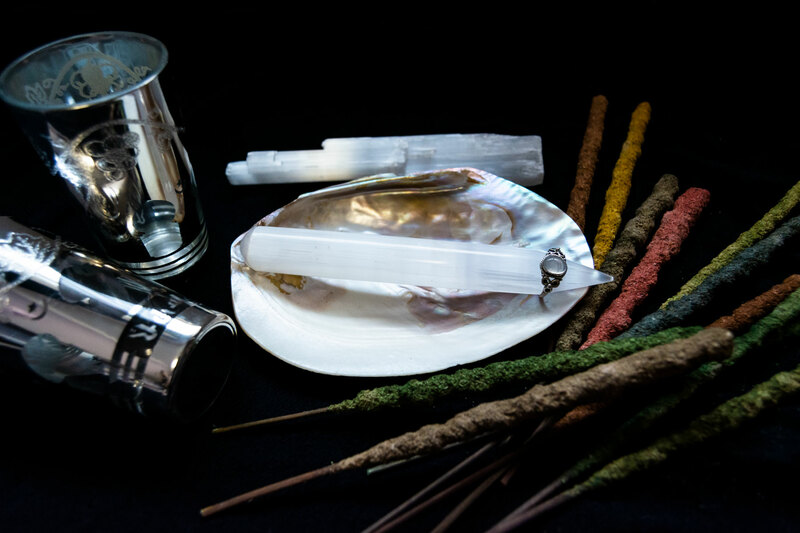 Jon himself bought a trumpet of natural bull horn and between the two of us we purchased a small arsenal of diverse artisan incenses. On Sunday evening we went again to have a Moorish tea and some pastries and, thus, increase the collection of the beautiful glasses that they give away. If you have never been to the medieval market of Benimaclet, I recommend you come to the next one! Yo también estuve! Voy cada año ?